today I’m delighted to share with you another interview with a YA author! 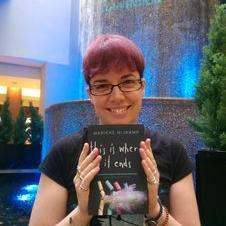 Meet Marieke Nijkamp, author of the upcoming (and much anticipated) THIS IS WHERE IT ENDS. Marieke Nijkamp is a storyteller, dreamer, globe-trotter, geek. She holds degrees in philosophy, history, and medieval studies, and is an executive member of We Need Diverse Books, the founder of DiversifYA, and a founding contributor to YA Misfits. I always knew I wanted to be a writer. I can’t remember I time I wasn’t telling stories or didn’t let my imagination run wild. For me, stories are my outlet and the way I understand the world. So going from there to sharing those stories always felt like a small step to me, although it’s an honor to be able to do that. I’m a part-time writer. I usually write during the evenings and the weekends. Though that doesn’t mean I’m also a part-time storyteller. I am constantly thinking of stories, questioning the world, stealing shiny observations. Writers really are magpies and some days, that’s the part I love best about this job. The way it allows me to always wonder about the story behind the story. Persevere and believe in YOUR stories. There are many writers out there, but no one who can tell your stories. You are unique. Your voice matters. And if you keep speaking up and if you keep telling stories and if you keep improving, you will be heard. To write THIS IS WHERE IT ENDS, where did you get the idea from and when did you start writing it? There wasn’t any particular school shooting that inspired TIWIE. The idea came from a conversation with a friend about school safety. But it was on the heels of several high profile shootings that I started it, mostly out of a deep longing to understand not only the situation but especially the human aspect of it. I wanted to understand the people and the stories, rather than the event itself. Several stories, as a matter of fact! There’s one I’m drafting, that deals with friendship, grief, and never-ending nights. There’s one I’m revising, that’s about war and family and the deepest betrayals. And there’s always a few that are whispering at me, teasing me with their possibilities. What are your favourite books? Any books you’d recommend? – Jeff Zentner’s THE SERPENT KING has such an utterly beautiful voice. It’s impossible to put this book down once you started reading. It’s a stunning exploration of family and identity. 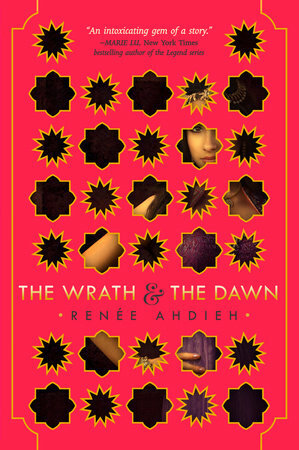 – Renee Ahdieh’s THE ROSE AND THE DAGGER which enthralled me as much as THE WRATH AND THE DAWN did. Spending more time with these characters was such a gift, and oh how I love the world Renee built. I would love to visit… if only so I could eat all the food! – Traci Chee’s THE READER is a collection of everything I love in fantasy. Books. Pirates. Feisty FMCs. And a deep, deep understanding of how stories influence the way we live in and see the world. It’s a wonderful debut. – Parker Peevyhouse’s WHERE FUTURES END which is a remarkable work of innovative storytelling. This is one of those books you have to experience. – Brooks Benjamin’s MY SEVENTH GRADE LIFE IN TIGHTS, finally, is also a book you need to experience, because it will brighten up your world. It’s fun, it’s affirming, it’s happiness in book form. Thanks for this interview, Marieke! 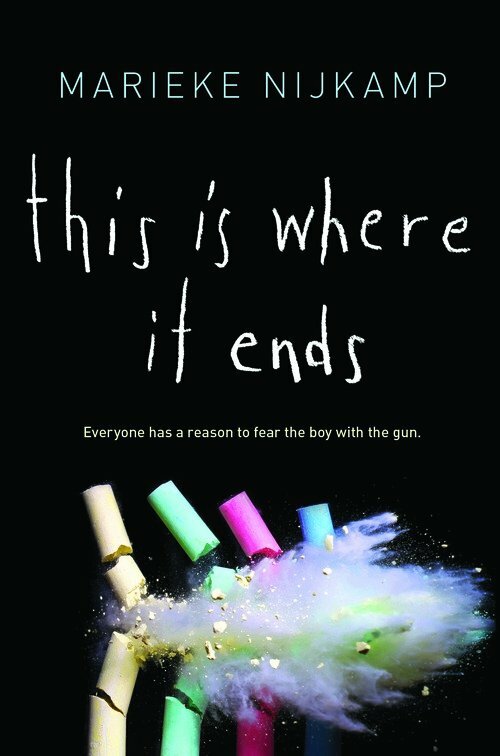 You can add THIS IS WHERE IT ENDS on Goodreads here. This entry was posted in A writer in the spotlight and tagged 2016 debut, author's interview, EM Castellan, Marieke Nijkamp, This Is Where It Ends, YA writer's interview, Young Adult literature.